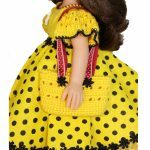 Handmade American Doll clothes Summer Dress with accessories. 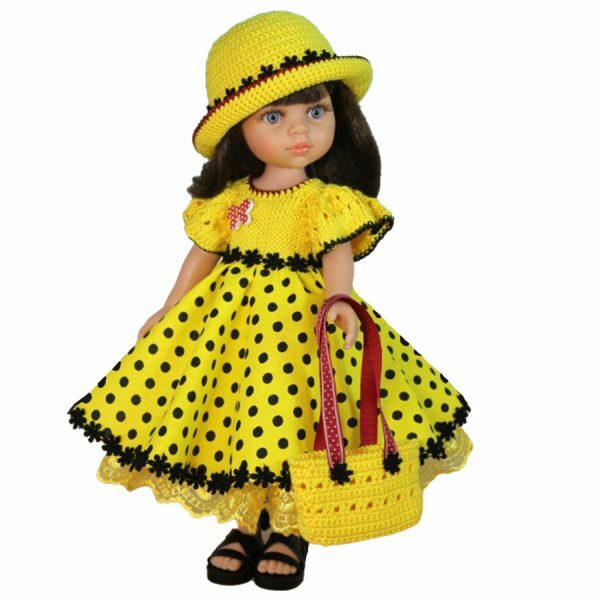 18"
This unique bright doll outfit will fit to 18″ Amerika dolls. 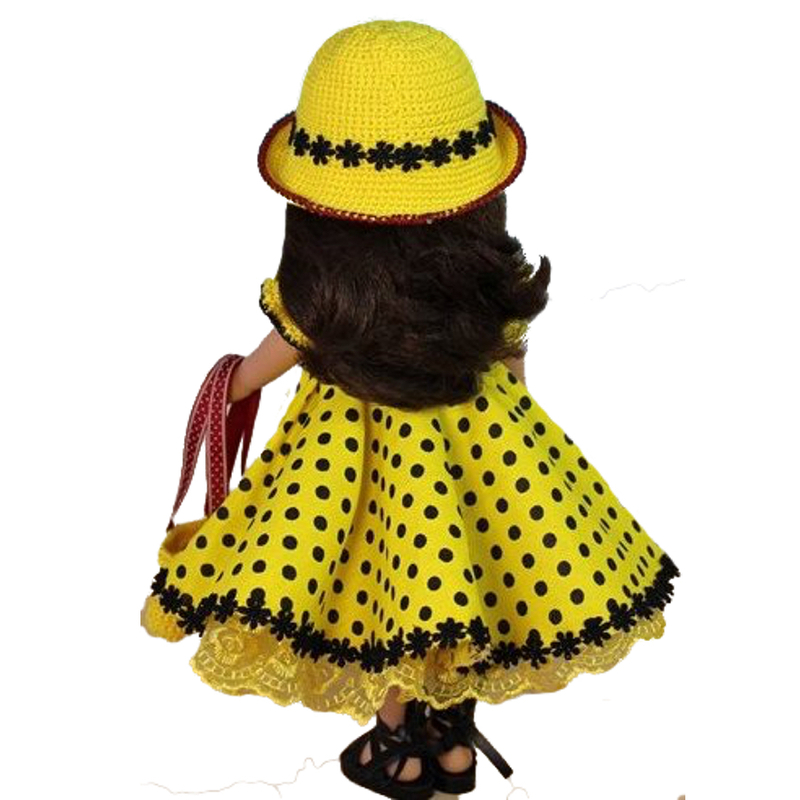 The dress, hat, bag is made of cotton and and silky fabric. 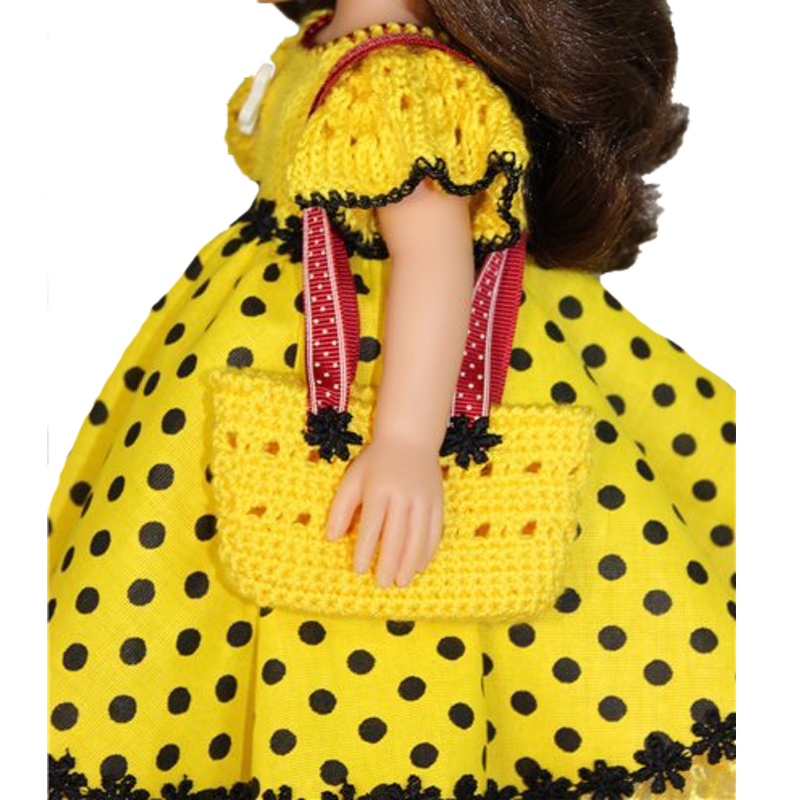 The dress is buttoned at the back with buttons, with a taffy underskirt, decorated with braid and butterfly. Each item is uniquely handmade in smoke-free, pet-free home. A doll model is for display only and is not included. Hand wash in cold water, shape and lie flat to dry. If multiple items are purchased together, items will be shipped together. 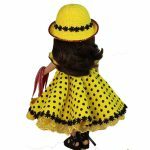 The dress, hat, bag is made of cotton and and silky fabric. The dress is buttoned at the back with buttons, with a taffy underskirt, decorated with braid and butterfly. 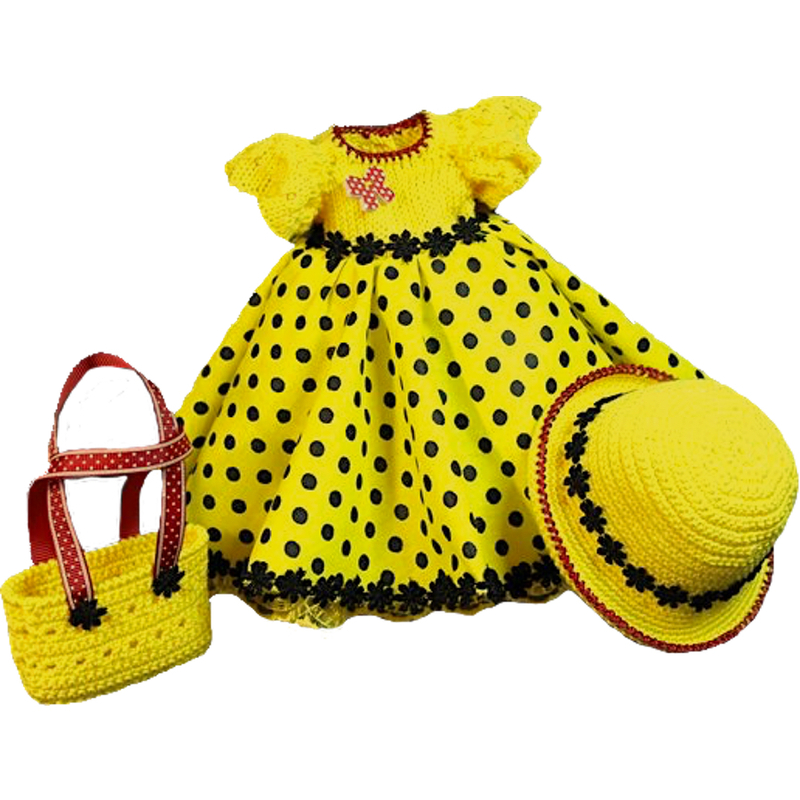 As with all of our crochet creations, this doll set made with care and attention to detail with tight, uniform crochet stitches which will keep everything where it belongs. Returns are not expectable for these items. Ask all questions before to order to make.